A small 10sq semi-detatched cottage built in 1836. Recently refurbished, this cottage is the perfect base to stay when visiting the south of Tasmania. Located within a short stroll of Hobart 's business area, iconic waterfront and close to lots of eating places and bars. - Outside area at rear of house with table and chairs. Excellent venue for exploring Hobart and surrounds. We really enjoyed the homely atmosphere of the Bathurst St Cottage. It was central to everything we required on our trip to Hobart. We appreciated the thoughtful little things like the wine and cheese on arrival and the pantry items supplied. We will recommend Bathurst St cottage to anyone we know is travelling to Hobart. Thanks for your kind words Peter. You’re welcome anytime. Overall the cottage was very clean, comfortable , well equipped and the personal touches appreciated. 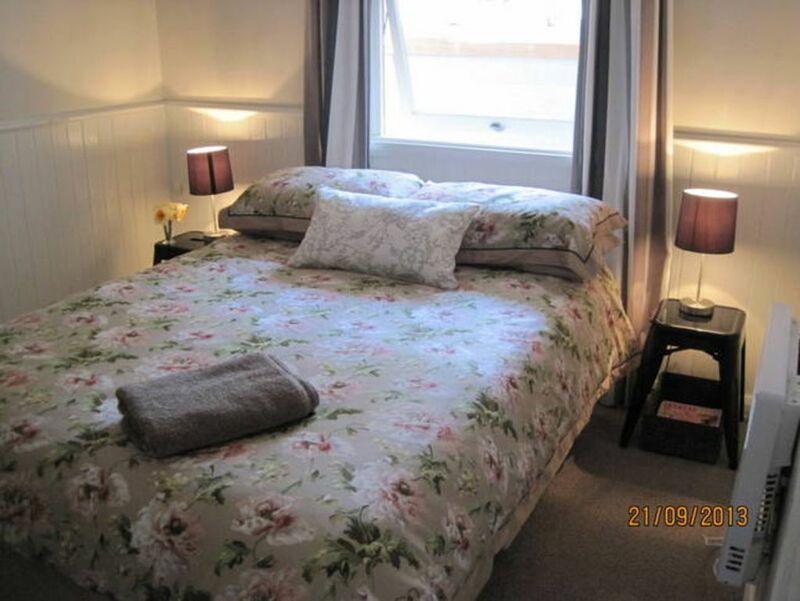 The area was very close to all the main city amenities so within easy walking distance. Denise was very accomodating and happy to attend to all of our needs. I would thoroughly recommend the cottage to other Hobart visitors. It was a pleasure to host you Phillipa and maybe you will get to return at some stage in the future. Clean, Cosy cottage. Great to come back to after a busy day. Host communicates well. I’ll be back. Day time parking is tricky, but not impossible. It is a great location if you enjoy walking. I loved it. Approximately 1 km down hill to the city centre. Close to Sunday farmers markets. The front steps may not be suitable for people with mobility issues. Good for small family or 2 couples. Good amount of information for guests. Kitchen has everything you need to prepare fantastic Tasmanian food. Sip cider or wine on the front porch or in the back yard. Thanks Kathryn for your review. I’ve tried to create a relaxing space for people to unwind at the end of a busy day. Glad you enjoyed it. A lovely, homey cottage within walking distance of Hobarts attractions. Denise was very welcoming and the cheese platter and wine was awesome and much appreciated. Heated bathroom floor a real plus. Would recommend to anybody and will stay again when in Hobart. Thanks for your kind review Rosalie. I’m glad the heated bathroom was of use during the first cool days. Hope I’ll see you again at some stage. Well located away from the madding crowd. Well maintained property, plenty of startup provisions, quiet location. The cottage is at the top of a hill so must be resonably fit if you intend to walk into town. Parking a slight problem as there are 2hour restrictions between 08:00 and 18:00 however; as you are on holiday and you move the car before 10:00 should not be a problem. Thanks for your review Brian. I will pursue the council with regards to allocating a parking permit. Very convenient to everything in central Hobart.